The teachers and performers listed on this website are either society members, or people paying to advertise. It is the responsibility of the student or hirer to determine the suitability of teachers/performers to help them meet their goals. We are able to direct you to a harp teachers, performers and luthiers in many areas. Some are not listed within the directory below so please contact us if you do not find what you seek on those pages. If you would like to be listed here, please contact us . Listings are free for members. Therese attended Curtis Institute of Music in Philadelphia from 1980 to 1984, where she studied under Marilyn Costello and worked with conductors Leonard Bernstein, Eugene Ormandy, and Sergiu Celibidache. 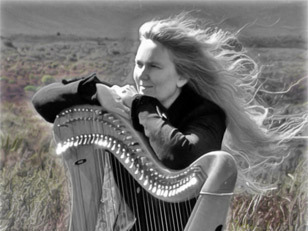 She pursued Master Studies under Susann McDonald at Indiana University from 1984 to 1986 and was the recipient of many honors, including the Elizabeth Hobins Harp Award in 1984 and the American Harp Society Close Competition in 1985. She was principal harpist for the Seattle Symphony Orchestra from 1986 to 1993, and played in numerous recordings with the Orchestra for Delos Records, including Piston’s “Capriccio for Harp and String Orchestra” and “Fantasy for English Horn, Harp, and Strings.” She has also performed with Johnny Mathis, The Moody Blues, Placido Domingo, and other artists. Therese then spent eight years living in Fiji where she and her husband raised two children and built a small wilderness lodge. 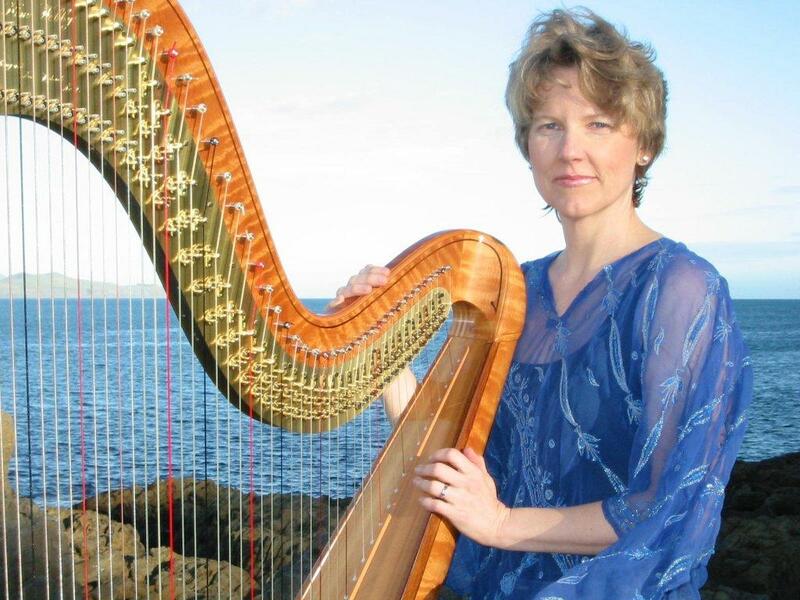 From 2007 to 2012, Therese performed chamber music recitals throughout New England, served as principal harpist for the Vermont Philharmonic, and was part of a flute and harp duo, before returning to Kerikeri in 2012. Throughout her career, she has enjoyed teaching lever and pedal harp to students of all ages and levels. Anna is an Auckland based teacher (B.Mus Perf, Dip Tchg), performer (lever harp and voice) and composer/arranger of harp music. She teaches children and adults of all abilities from her own music studio or at several private Auckland schools, and via skype. Hire harps available for beginners. Anna plays weddings and functions, or concerts, as a soloist or with a variety of other musicians. 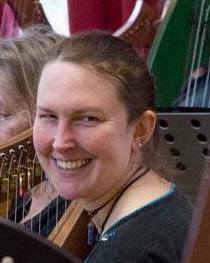 Aside from 1:1 teaching Anna directs The Auckland Harp Orchestra, The Beginner Ensemble (BegEnz), regular group lessons, Harpenz, The Harp Retreat, and administers the websites for Harpsdownunder, and The Harp Hub. Anna's latest project is called "The Harp Music Club" ... new harp music each month, directly to your inbox! Wei-ting Shyu Initially taught by her mother( Melody Lin) who is also a harpist. WeiTing showed prodigious talent for music from an early age. She went on to learn from Auckland Philharmonia Orchestra’s harpist, Rebecca Harris. She started playing the harp at the age of 8, gaining her Royal School of Music grade 6 with distinction in same year. With each consecutive year, she completed her grade 7 and grade 8 exam. In 2008, at the age of 13, WeiTing gained a distinction in her ATCL diploma exam . Finally, in 2010, she completed her LTCL (Licentiate) diploma exam, again passing with distinction. Wei-ting performs and teaches pedal harp in the Auckland area. Performer and Teacher of Harp (pedal and Lever), Singing, and Theory. Students are prepared for Royal School and Trinity exams, NCEA and public performances. Cathie teachers in studios on the Auckland North Shore and in Mt Eden, and at St Mary's College Auckland. Beautiful background music. Contemporary, Celtic and Medieval songs and instrumentals. A mixture of songs in English, Latin and Medieval languages and instrumentals from Spain, England, France and around the world. Available to play at events, weddings and other ceremonies. Robyn also offers harps to rent throughout New Zealand and lessons for beginners. Buy Robyn’s CD from her site! Harpist Ina is an Auckland based harpist and teacher. She is one of the most active harpists around Auckland area. She works with numerous orchestras and music groups including Auckland Symphony Orchestra, Auckland Youth Choirs, Aorangi Symphony Orchestra and Blackbird Ensemble. 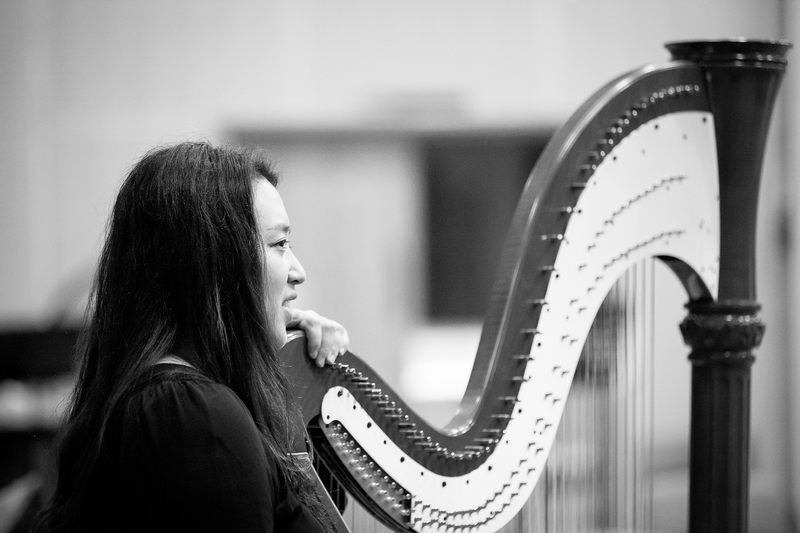 She was nominated as a NZSO mentorship programme in 2018, and was invited to play at 4th Korea International Harp Competition & Festival in 2018. She has been taught by Yi Jin (APO), Carolyn Mills (NZSO) and Louise Johnson (Sydney Symphony Orchestra), and currently pursuing Diploma qualification from Associated Board of Royal School of Music. She is also an enthusiastic harp teacher who implements Alexander Techniques, Suzuki Training Method, and Music Mind Games (music theory teaching through various games) during lessons. She teaches both lever & pedal harps. Wendy teaches beginner lever harp from her home in West Auckland and over skype by arrangement. Absolute beginners of any age are very welcome. Beginner music theory and piano also available. Wendy has played in various ensembles in Auckland and currently runs a medieval/renaissance music group. 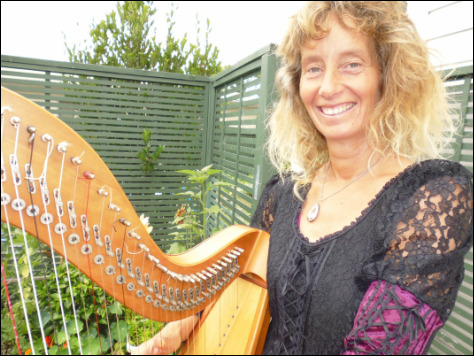 Becky is a Snells Beach based lever harp tutor. She tutors beginning students of all ages in her home or via skype. Professionally Becky was a research and development engineer, but has almost always played an instrument. 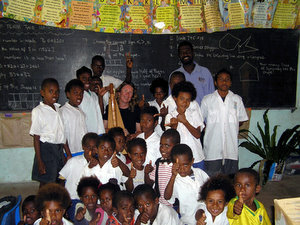 She spent a few years sailing the South Pacific with the smallest of her harps and enjoyed sharing music with quite a few schools and villages during her travels. 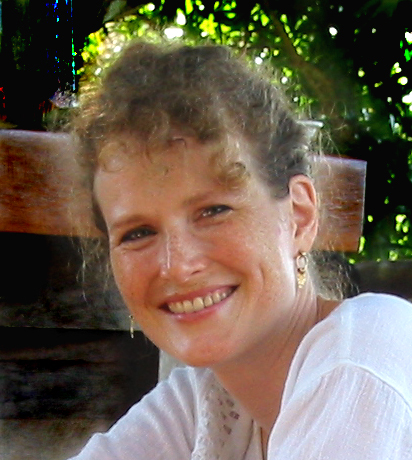 Lana teaches pedal harp and Irish harp to children and adults at her studio and by Skype. Lana teaches all styles of music, specialising in classical and Celtic music. Lana graduated from the Conservatory of St. Petersburg, Russia. Margaret performers on harp (pedal and lever), guitar, piano, and is a vocalist for weddings, corporate and private functions and events. She regularly plays with the Bay of Plenty Symphonia, with chamber and jazz groups, as well as dedicating many hours to providing music in the community for hospice, hospitals, retreats, schools and other non-profit organizations. Margaret offers harp lessons to beginning students of all ages. 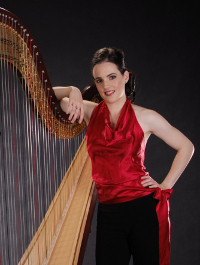 Wellington harpist and teacher Tiffany Baker began playing lever harp in 1999. She studied with Robin Ward, and now also plays the rare triple harp. 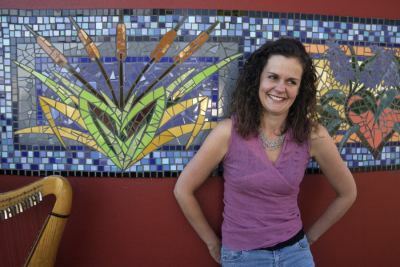 Tiffany has attended national and international harp festivals, and in 2006 she was interviewed after five harpists played on nationwide television's The Good Morning Show. She has also been the harpist for local orchestras and at weekend workshops for three provincial Youth Orchestras. On two of these occasions she played the well known harp cadenza, Waltz of the Flowers from Tchaikovsky's Nutcracker Suite. Tiffany teaches both lever harp and triple harp to students of all ages. She has received awards, medals and trophies in chamber music contests and competitions in New Zealand, Australia, and the USA. The Baker Trio (violin, cello, and harp) has performed to audiences of over 500 in Australia, and 2,500 in the USA. She has played solo, duos, trios, and quartets at public concerts and for special occasions such as high teas, engagement and birthday parties, weddings, funerals, and at product launches, mainly around the Wellington region in New Zealand. Ingrid Bauer is a classical harpist and harp teacher. She teaches harp at all levels from beginner to advanced, and to people of all ages. Adult beginners are welcome, as are children from 6 or 7 years upwards. 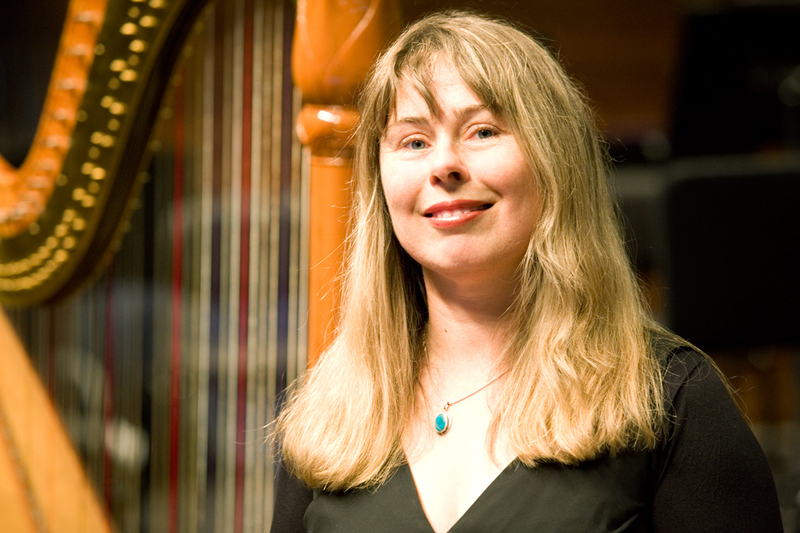 Ingrid holds a BMus in Performance Harp from VUW, with First Class Honours from the Australian National University. She spent 2012-2013 undertaking postgraduate studies with Judy Loman in Toronto, Canada. Wellington Lesley teaches harp, piano, clarinet and theory from her home in Karori, Wellington. She teaches children and adults and has a small harp available for hire. Principal Harpist of the New Zealand Symphony Orchestra since 1989, Ms Mills has also played with the Dallas and Houston Symphonies, and was Principal Harpist of the Orquesta Sinfonica de Mineria in Mexico City. Ms Mills teaches both privately and as Artist Teacher at the New Zealand School of Music and has conducted masterclasses and workshops in several countries. Her students have enjoyed many successes, and perform as soloists and chamber musicians internationally. Also passionate about music in education, Carolyn has played to thousands of school children in the United States and New Zealand over the past two decades. Her 'Harp Informances' have been widely acclaimed and continue to entrance children of all ages. 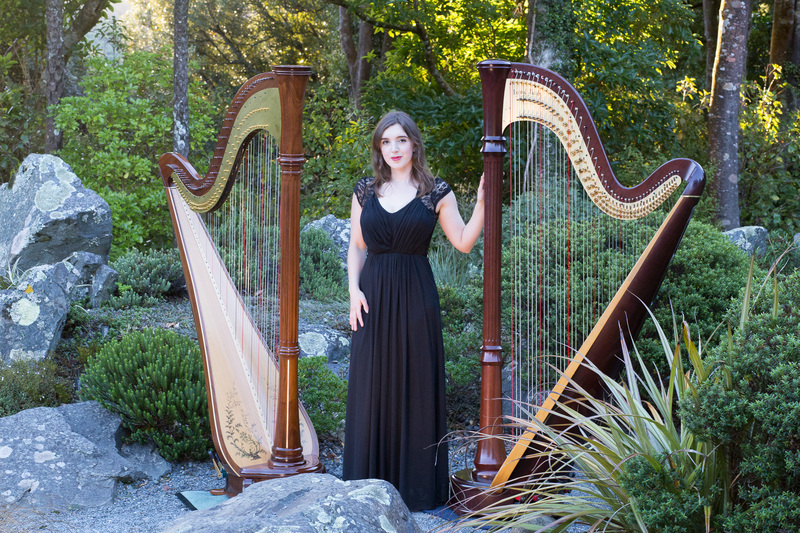 Natalia Mann is known for her creative and contemporary style of harp playing. Her career spans most genres. She works internationally as a performer, composer, collaborator, artist and teacher. 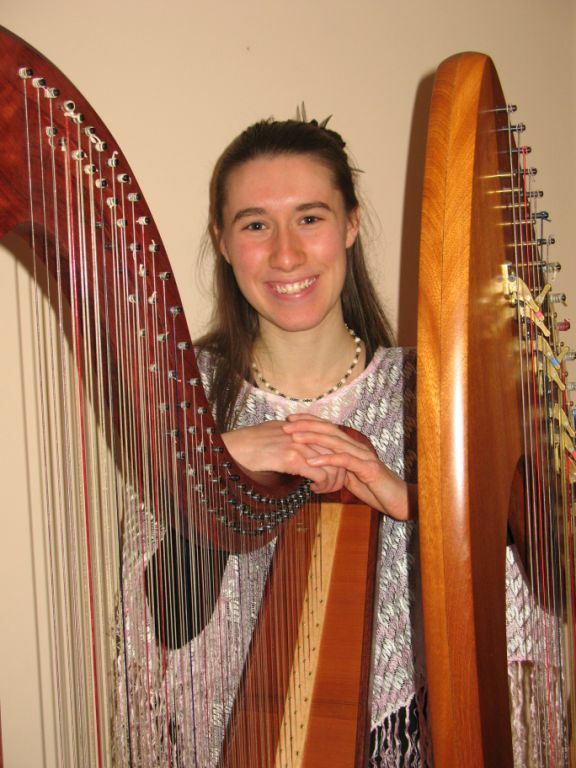 Natalia trained in America, New Zealand and Australia as a classical harpist. 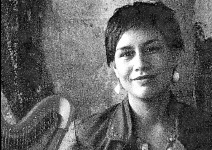 From 1996-2005 she lived in Melbourne exploring world folk music, roots, pop and experimenta. She completed her BMus in Repetoire Performance at the Victorian College o fthe Arts in Melbourne, where she later taught improvisation and has since performed extensively through Australia, New Caledonia, Eastern and Western Europe. She has toured throughout Aotearoa with Suga, Bic Runga, Black Grace, and the NZ Symphony Orchestra. From 2005-2013 she lived in Istanbul where she played alongside masters of Turkish classical music. Balkan jazz and improvisers from Europe and America. During her time in FYROM she was principal harpist for the Macedonian Philharmonia. Natalia is keen to share her experiences and explore holistic approaches to music making. 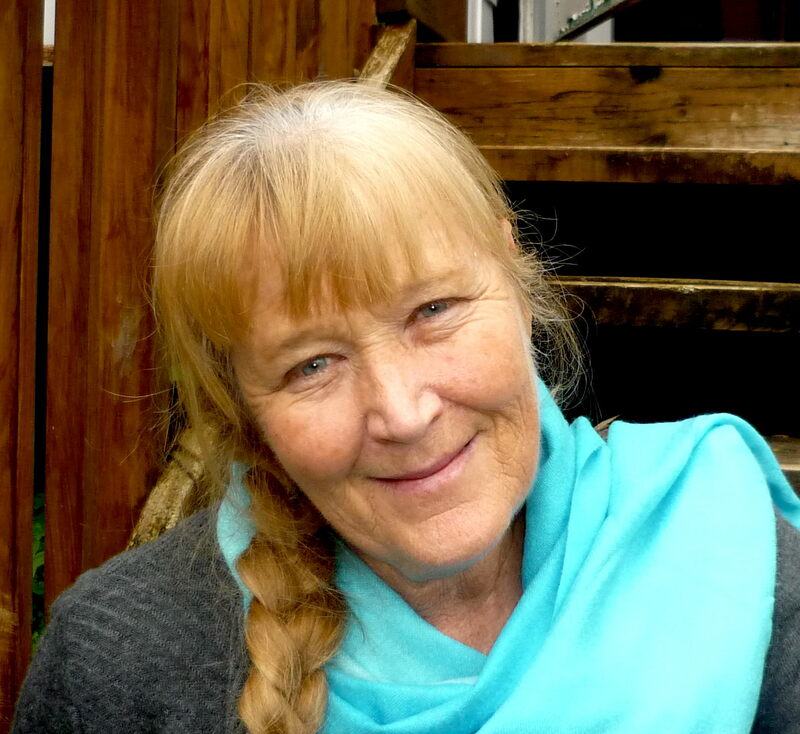 Annemieke Harmonie (Bachelor of Education, Dip of Teaching, Dip of Shiatsu), has studied the classical harp for 15 years with different teachers in Holland. She played in the North Holland Youth Orchestra. She then traveled the world with a Celtic Harp and collected a wealth of folk music from different countries. She has performed worldwide and has made 6 CD's. 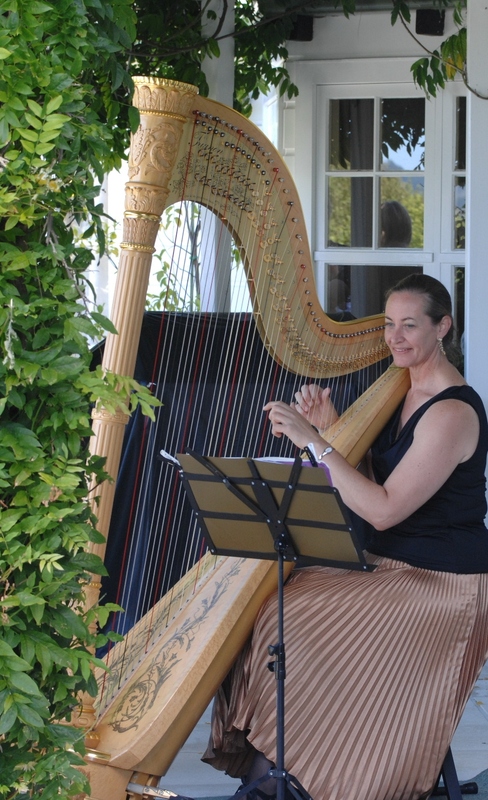 Annemieke is a sought after harpist for all occasions, playing many different styles of music. She teaches and performs in the Nelson Area. She is founder and director of Harmonie Harp Orchestra in Richmond/Nelson. Helen Webby is teaching in Christchurch and performing in the New Zealand Symphony Orchestra and the Christchurch Symphony Orchestra. Helen also performs celtic music with Davy Stuart and they have two albums, The Peacock's Dance and The Golden Strand. Jo-Ying has been playing the harp for twenty years. She studied her Master of Music degree in harp performance and Pedagogy under the tutelage of Carolyn Mills, and was awarded distinction for her MMus study. She also holds a Graduate Diploma of Teaching and Learning and an ATCL Diploma in Piano. Jo-Ying has performed with the Christchurch Symphony Orchestra, Dunedin Southern Sinfonia and other music groups. She is also available to play for a variety of occasions, such as weddings and corporate functions. Jo-Ying enjoys teaching and she offers lever harp, pedal harp and piano lessons. Her teaching studio is located in Avonhead, Christchurch.